Francisco Rosario traveled from his native Dominican Republic to what he hoped would be a new career as a baseball player in the United States. The method of travel, though, was one he'd never before used: He traveled to Florida on a plane, The Philadelphia Inquirer wrote. "I thought my heart was going to come out of my mouth," the 17-year-old Rosario told The Inquirer. Rosario started his career, but it was a short career. He played just a single season as a pro. 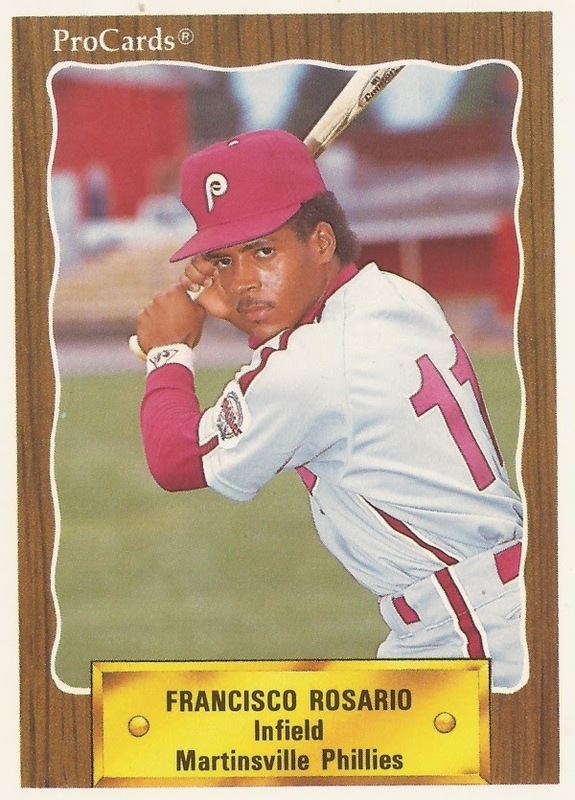 Rosario's brief career took place in 1990, signed by the Phillies as an amateur free agent out of his native Dominican Republic. Once stateside, Rosario was assigned to rookie Martinsville. He got into 21 games, 76 at bats. His 14 hits included two doubles and a home run. His final average came in at .184. It was his only season as a pro.